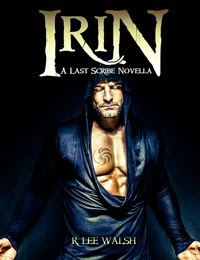 Check out Irin, The Last Scribe! When his flame-haired partner disappears after a brutal beating, the legendary Irin enforcer known as Riley Storm sets out to bring her back. Ending his search in Los Angeles, territory he once ruled over, he discovers an alarming secret behind the city's most violent criminals and decides to reclaim not only his fiery companion and fiercest ally but the land he once called home.